Tyler Cotner has been composing and performing music since he was 6 years old. Growing up in a very musical household in sunny southern California, Tyler studied classical piano before branching out into playing a diverse selection of both styles and instruments, including drums, vocals, guitar, bass, ukulele, and many others. 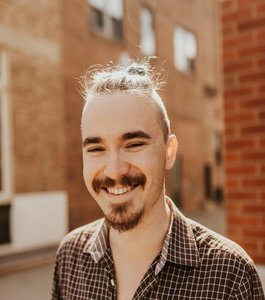 Throughout his teaching career, which started in high school, Tyler has always sought to keep music education both relevant to his students’ lives and accessible to those who don’t otherwise have access to it, which is why he has spent the past two years working for a musical non-profit in Hyde Park. As a performing musician, Tyler has played jazz piano in big bands and combos, keyboards in professional wedding and event bands, bass and drums in singer/songwriter recording sessions and live shows, and worked for three years as the musical director of Boston University’s premiere co-ed a cappella group, In Achord.